When you go to a Norman, Edmond, or Mustang drugstore or supermarket looking for toothpaste, mouthwash, teeth whitener, or another oral care product, make sure that it carries the seal of the American Dental Association. The seal is there to help you make the best choices you can for the products you need to keep your mouth clean and healthy. The American Dental Association (ADA) only places their seal on a product after it has been evaluated to be safe and effective. This usually means that companies have to meet standards even higher than those required by law. Making sure to purchase products with the seal is practically like shopping with your Oklahoma City dentist or dental hygienist right by your side! Hi, I’m Dr. Mark Phan of OKC Smiles. We serve the Norman, Edmond, and Mustang areas. We take pride in caring for our patients and, like the ADA, want you to have a healthy, beautiful smile. 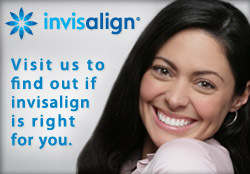 Many of our patients wonder if a smile makeover is right for them. If you’d like to know, schedule an appointment and we’ll take a look! Contact us at 405-634-7303 and a member of our friendly and outgoing staff can get you in to see us and answer any questions you might have about veneers, cosmetic dentistry, teeth whitening, and more.